Those upgrading to the Xbox One S or Xbox One X will now be hard pressed to find an adapter for their Kinect sensor. 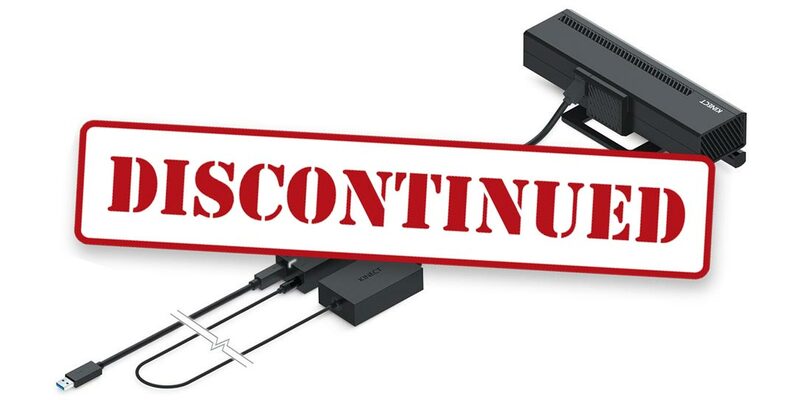 It was only a matter of time following the discontinuation of the Kinect sensor that the Xbox One Kinect adapter would also be discontinued. Back in October, Microsoft announced that they would no longer be making the Xbox One Kinect sensor. The Kinect sensor has been a hotly contested accessory for the Xbox One. Included with the original Xbox One consoles, it never took off like Microsoft wanted it and was subsequently unbundled from future Xbox One and Xbox One S consoles. However, those upgrading to the Xbox One S — and more recently the Xbox One X — could pick up an Xbox One Kinect adapter to get it to work with the newer consoles. While the adapter was offered free of charge to those initally upgrading to the Xbox One S, that free upgrade was discontinued back in March and was not offered with the recent Xbox One X launch. It sounds like I’m not the only one who thought Microsoft should have included a free adapter upgrade for Xbox One X adopters either, with over 1,000 votes on the Xbox feedback forum for one. “After careful consideration, we decided to stop manufacturing the Xbox Kinect Adapter to focus attention on launching new, higher fan-requested gaming accessories across Xbox One and Windows 10,” Microsoft said in a statement to Polygon. What these “higher fan-requested gaming accessories” are remain to be seen, the rumour mill for keyboard and mouse support on the Xbox One has been in full swing as of late. As well, VR (virtual reality) is one feature notably missing from the console, perhaps Microsoft is throwing some more resources at that or AR (augmented reality). A quick look over at both Amazon.com and Amazon.ca sees the price of the adapter has skyrocketed to nearly $300USD/$400CAD. Thankfully I ordered mine last week at the MSRP of $49.99CAD and it arrived today! I guess I just lucked out on that one… While it’s not an essential item — ours mostly gets used for “Xbox on…” and other voice commands while not wearing a headset — there are still some fun Kinect games like Blue Estate, Fruit Ninja, Fantasia, and Just Dance that really showcased the potential for the accessory. It really is too bad that Microsoft has decided to discontinue the adapter as well but it’s obvious their focus is in places other than a peripheral that was never really given its fair shake by gamers and developers alike. What do you think about Microsoft discontinuing both the Kinect sensor and now the Kinect adapter? Let us know in the comments below or on Google+, Twitter, or Facebook.